it's used for tht suits of under collar and other clothes. As a specialized manufacturer for garment accessory,(hair interlining, nonwoven interling, complex interlining, under collar felt and so on )in China. We can supply good quality and competitive price. We can supply the product in your order too. If you interesting in these products, pls feel free contact to us. Thank you ! 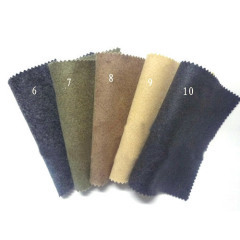 Under Collar Felt has been presented above, want more similar products, please click suit under collar interlining.